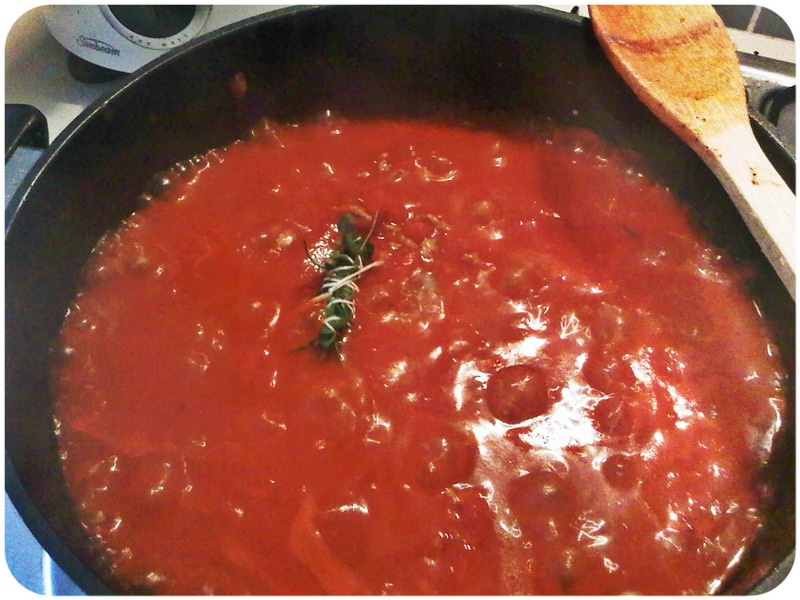 ﻿One of the first of my Mother's recipes that I mastered was her Bolognese Sauce...or as we call it at home - Sugo (which just means sauce in Italian). And although it tastes great, I can never make it taste exactly like my mum's. Despite this, I thought I would share with you her recipe, so you can give it a go. Heat the Olive oil in a heavy based saucepan on a medium heat and add the chopped onions. Saute the onions and when the onions starts to go a pale yellow, add 1 tablespoon of warm water to the onions. Stir through and allow the water to evaporate. Once the onions have dried, repeat this step. Do this about 3 or 4 times. (By adding the water, the onions become translucent and almost melt away in the final Bolognese sauce). Add the mince to the onions. 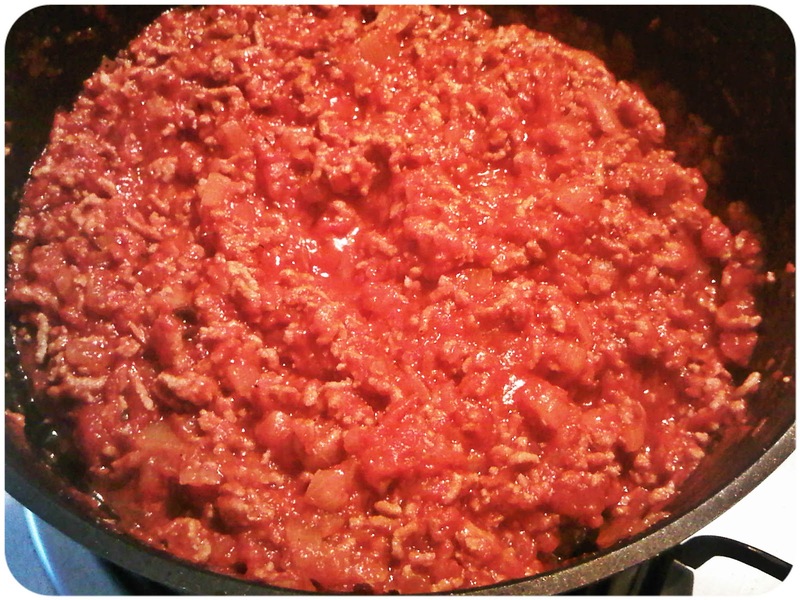 Break up the mince and allow it to cook through. 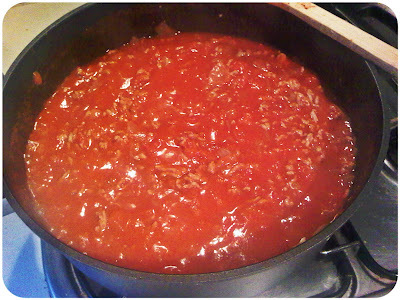 Once the mince is cooked and any moisture has gone, add the tinned tomatoes, Passata and the tomato paste. Bring the sauce to the boil, then reduce heat and simmer for at least 2 or 3 hours, mixing the sauce every 20 minutes or so. Once you think it is ready, test the sauce for seasoning and add more salt if you think it is necessary. Also make sure you remove the Bouquet Garni. Serve the Sugo on your choice of cooked pasta. 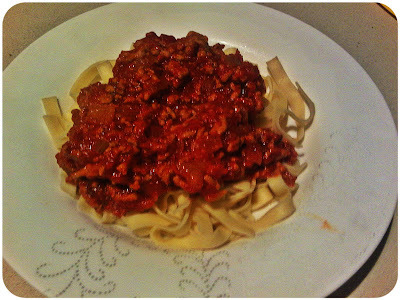 I personally LOVE a Bolonese Sugo with Spaghetti or Fettuccine. Husband likes his with Penne.